Sa Pa District, a tourism hotspot in northern Vietnam, is set for an administrative upgrade to become a town. Prime Minister Nguyen Xuan Phuc had a meeting late last week with related state agencies on the administrative upgrade that will establish Sa Pa Town in the northern mountainous province of Lao Cai. The Sa Pa town referred to in most reports is a subdivision of Sa Pa District. In Vietnam there are several such instances of small towns in a district. Sa Pa is famous for its rugged scenery and rich cultural diversity. 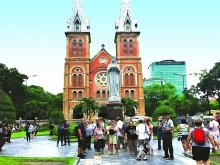 Last year, more than 2.5 million people visited Sa Pa. Over the last three decades, the district has developed exponentially, primarily as a tourist destination. Sa Pa currently has nearly 600 hotels and 34 travel firms. 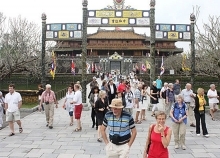 It is home to many any big projects including entertainment areas, the Fanxipan cable car and the Sa Pa cultural park. However, it has many infrastructural problems to address, including transportation, electricity, water and telecommunication systems. Furthermore, ever since the Hanoi - Lao Cai expressway opened for traffic, Sa Pa has become more accessible and more popular, and the issues of security and order as also environmental protection have become more pressing. 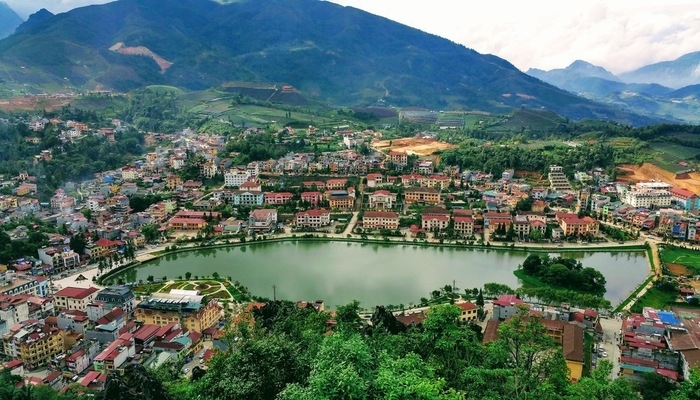 An official of the Ministry of Home Affairs said that in order for Sa Pa District to become a key urban area with national defense and security implications given its location on the Vietnam-China border corridor, it is essential that it becomes a town. Becoming a town would change the management model from that of local government in rural areas to that of an urban authority, the official said. Leaders of Lao Cai Province attending the meeting concurred, saying the upgrade would allow the administration apparatus to handle the rapid development of Sa Pa.
Phuc agreed that the proposal to establish the Sa Pa Town should be submitted to the National Assembly Standing Committee. He stressed that Lao Cai Province must preserve the culture of ethnic minorities and protect the natural beauty of the locality. "Without the culture of the ethnic minorities, Sa Pa will lose its attractiveness entirely," the PM said, asking provincial leaders to build a civilized and courteous tourist destination that will "leave a long-lasting impression on visitors."